(StatePoint) More than 30 million Americans camp in tents yearly, according to the Outdoor Foundation. As with any outdoor adventure, having the necessary equipment is crucial. 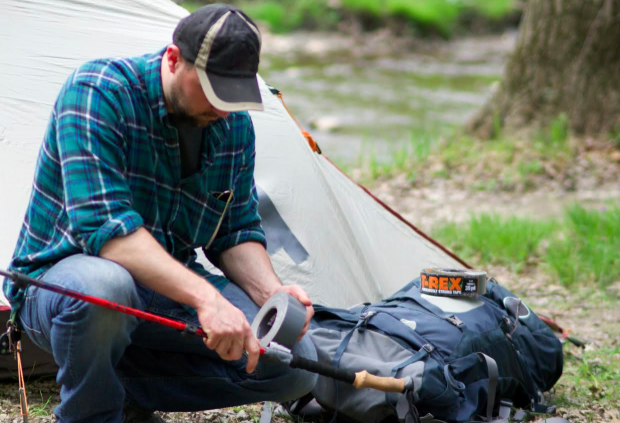 Whether you’re hiking through backcountry or headed to an established campsite, this checklist will help you prepare for your expedition. Approximately 9 million campers backpack to outdoor destinations, making navigation a top safety necessity. Remember that camping often means leaving behind cell coverage, Internet access or a GPS signal, making such low-tech gear as a compass and map mandatory. Other potential tools include a topographic map combined with an altimeter to help gauge your journey’s terrain and altitude. Knowing climate and weather conditions is vital. According to Backpacker.com, clothing is just as important as a tent or sleeping bag to stay insulated. Outerwear should repel rain and snow, but also breathe so you don’t get wet from perspiration. Your base layer should be made of moisture-wicking fabric — not cotton — to prevent chafing. Consider that day and night temperatures can differ greatly, so layer clothing, and choose materials and thicknesses appropriate for your destination — and don’t forget a hat and extra socks. Bring along T-Rex Clear Repair Tape to mend holes or tears in tents or clothing. It sticks to both wet and dry surfaces, ensuring an easy and instant fix to keep gear insulated in any weather condition. Campers should always bring enough illumination to be able to safely see and move after sundown, especially in case you get delayed, lost or separated from the group. While flashlights are obvious choices, headlamps are popular, as they allow for hands-free operation, and are typically small and lightweight. Another feature to consider is a strobe lighting mode for emergency situations. Extra batteries are essential as battery lighting was the most popular purchase among adult campers in 2014, according to the Outdoor Foundation. Available in single-use or rechargeable models, ideally the batteries should offer a balance of long duration, high performance and environmental friendliness. Accidents happen to even the most experienced and best prepared campers. Your kit can prove invaluable if you, or another member of your group, are in a first-aid situation, need gear repaired or are under other tense conditions. SectionHiker.com proposes supplies such as a pre-assembled first-aid kit, a multi-tool, knife, scissors, screwdriver and safety pins. You can then add other items based on preference and experience. A useful addition is a high-quality tape, like T-Rex Tape, as it can be used to repair hiking poles, patch sleeping bags, make a rope, temporarily stabilize an injury or broken boot, and more. T-Rex Clear Repair Tape can even be used to fix cracked GPS or phone screens and flashlights. Food is an enjoyable part of camping, but deciding what to bring will depend on whether you’re backpacking miles to your site or camping near your car, as well as how many days you’ll be gone. If you’re trekking far, be prepared with lightweight and nourishing options. Water is essential but heavy, so check the area for potential natural sources. “Mountaineering” suggests carrying a collapsible water reservoir and purification tablets to ensure water safety. Freeze-dried meals are popular selections, however, no-cook meals with long shelf lives are better in arid regions. Other possibilities include energy bars, nuts, dried fruits or jerky. Never leave out animal-attracting leftovers, as that could attract unwanted intruders. “Essentials” are called so for a reason. Don’t be caught camping without proper supplies. With these necessities, it will be easy to prepare for and enjoy your next adventure in the great outdoors.